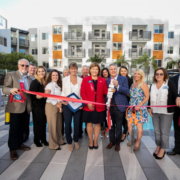 Community celebrates the opening of Eleven10 Apartment Homes in the City of Orange. 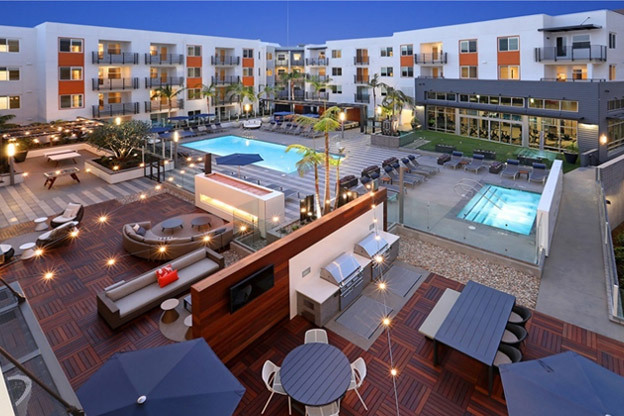 Newport Beach, CA – July 2, 2018 – TPG Property Group unveiled its new 260-unit luxurious community in Orange, CA with an official ribbon cutting on June 26, 2018. Chairman Kenneth Picerne of The Picerne Group, parent company of TPG Property Group, did the ribbon cutting honors. Guests were treated to a property tour, reception and appetizers. “We are extremely proud to open Eleven10 Apartment Homes and be a community partner to the City of Orange through our Giving Back Program. 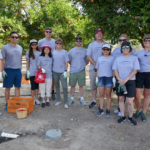 We are thankful to everyone who contributed to the development of this property and look forward to a continued long-term partnership with the City of Orange and our residents,” said Mr. Picerne. 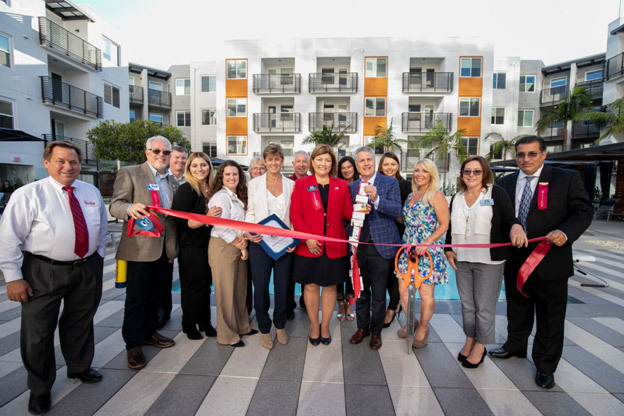 The celebratory ribbon cutting event featured over 50 attendees, including members from the Orange City Council, Chamber of Orange, St. Joseph Health, key development contributors, community politicians, local partners and Eleven10 residents. Conveniently located one-block from Westfield MainPlace Mall, St. Joseph Hospital Orange and Children’s Hospital of Orange County and near the 22, 57 and 5 freeways, Eleven10 is an ideal community for Southern California. Eleven10 Apartment Homes features studio, 1-bedroom and 2-bedroom luxury residences. 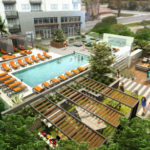 The property has several incredible amenities, including an expansive resort-style pool surrounded by an extensive outdoor courtyard, 24-hour fitness center with an outdoor athletic terrace and impressive club room with luxurious social spaces. For more information on Eleven10 Apartment Homes, please visit www.liveeleven10.com. TPG Property Group is a subsidiary of The Picerne Group. Founded in 1988 by Kenneth Picerne, The Picerne Group focuses on distressed debt investment, apartment acquisition, land acquisition, entitlement and apartment development. For more information, please visit www.picernegroup.com. For more information, please contact Sean Tiner, Director of Marketing, email: marketing@tpgpropertygroup.com.